Tiered scholarship pricing available. For more information call 1-800-228-6724. More schedule information: For more information visit https://www.warmbeach.com/programs/horsemanship/horsemanship-camp or call 1-800-228-6724. 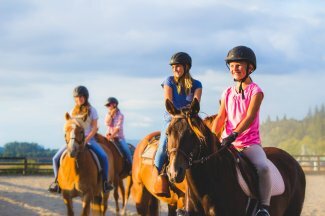 Warm Beach Camp & Conference Center is committed to providing a safe, caring, hands-on learning experience with horses. Campers will enjoy riding through Warm Beach Camp's vast network of trails, as well as a large covered arena and an outdoor arena. You'll also have an opportunity to learn the basics of equestrian vaulting or drill riding in a safe environment. All the leadership staff are certified through CHA (Certified Horsemanship Association). Day Camps are for kids ages 8-15.